Zygomatic Implants are used when there is insufficient bone to hold a normal dental implant. 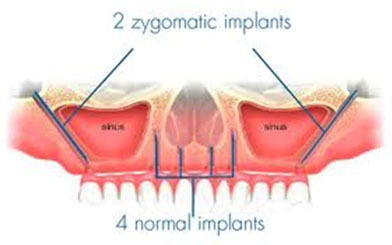 The difference between a Zygomatic Implant and a normal dental implant is that the former is longer and is placed diagonally into the cheek bone (zygoma), to make use of the extra bone here. Usually after extracting a tooth, the bone that held the tooth starts to shrink. In some cases the shrinkage is severe resulting in insufficient bone to hold a dental implant. This usually means a sinus lift and bone graft is required to build up bone structure and achieve better stability. In certain cases we can place longer Zygomatic implants into the cheekbone, giving better stability and strength to hold a implant retained bridge, and thus sometime negating the need for a bone graft. Zygomatic implants are placed carefully avoiding the sinuses, also eliminating the need for sinus lifts. 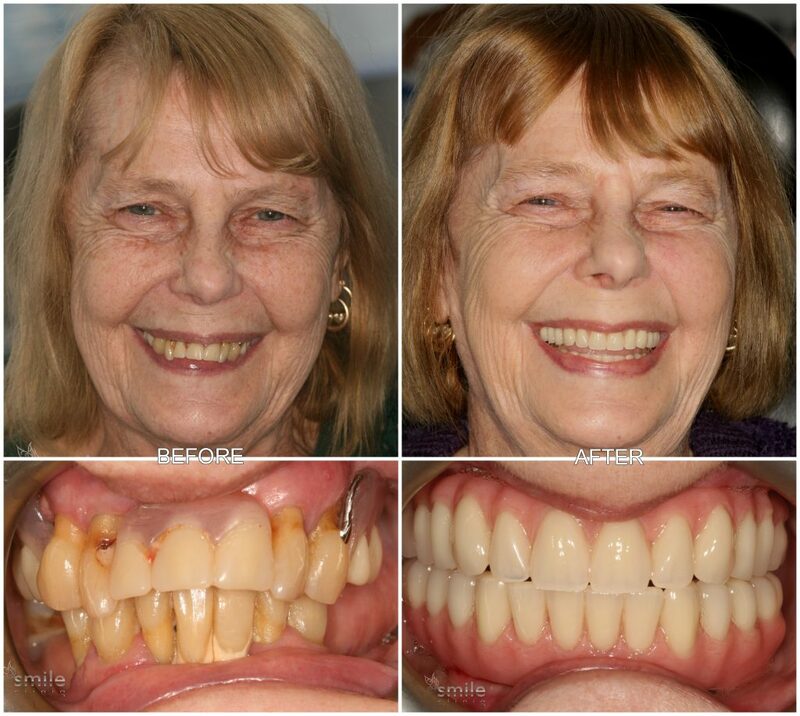 Dental implants are a great solution to replace missing teeth, but can involve a 6 month period of waiting for the implant to fuse with bone before placing teeth onto the implants. With an Zygomatic Arch, you can place a bridge onto the implants straight away; therefore you will walk out of the surgery with a brand new smile. To find out if a Zygomatic Arch is an option for you, why not book an appointment at our Dental Practices in London. Other dental implant treatments are also offered at Smile Cliniq in London such as dental mini implants and All on 4 implants. 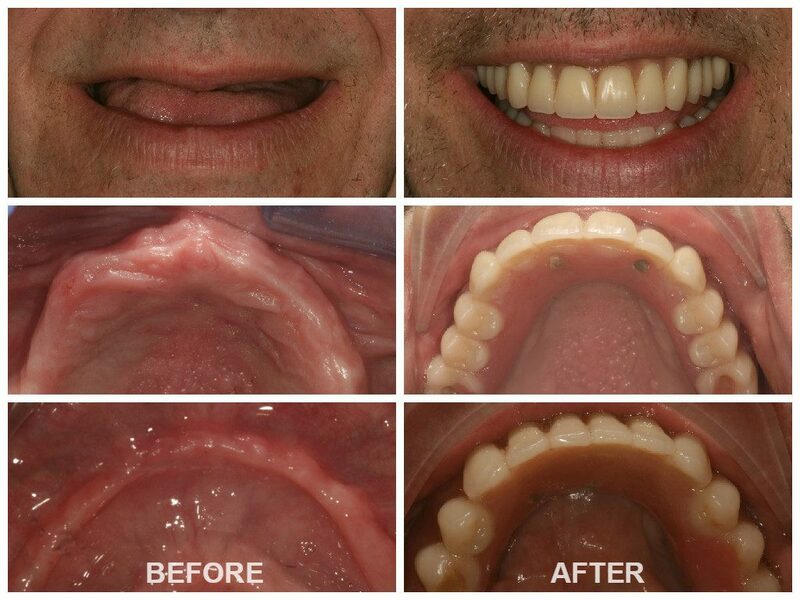 Post Treatment Advantages: Fixed bridge linked to implants, giving patients the ability to eat and talk confidently. 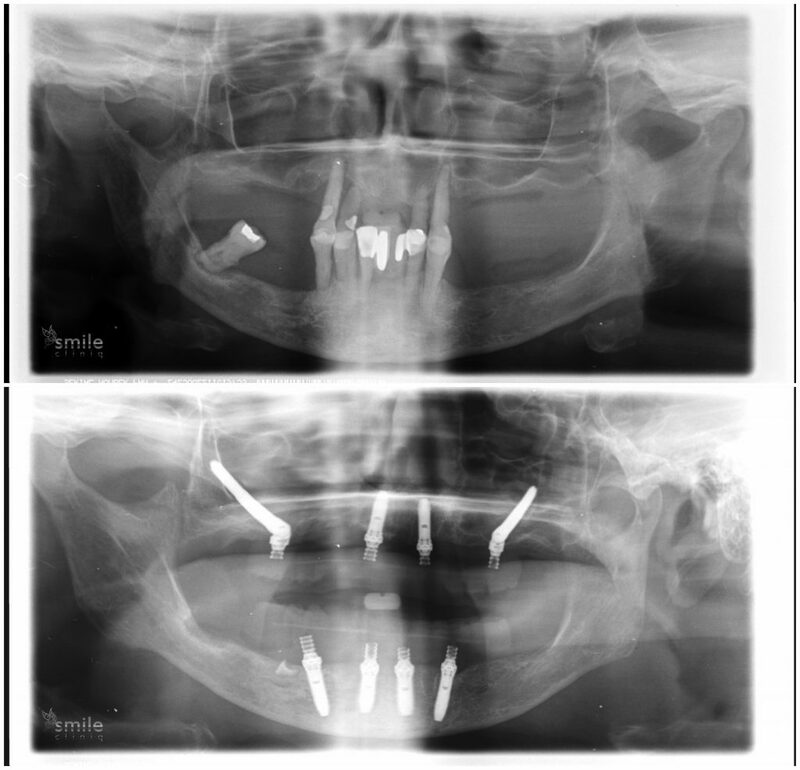 Below is an x-ray which shows a case before Zygomatic Implants were placed and then how the dental implants sit in the jaw bone following completion.